" I designed this quilt in honor of my wonderful husband, who I affectionately refer to as “Studly” on the blog! 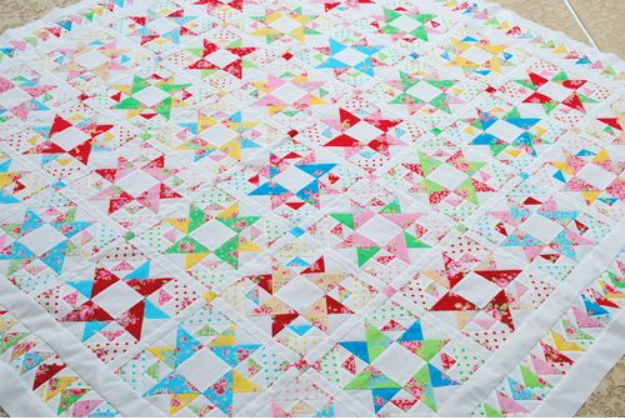 I loved it so much, that I wanted to make a matching quilt for me (with more girly colors than the woven red, white, tan and blue I used for his quilt)! These quilts were quite a bit of work, but I do so love the finished products. 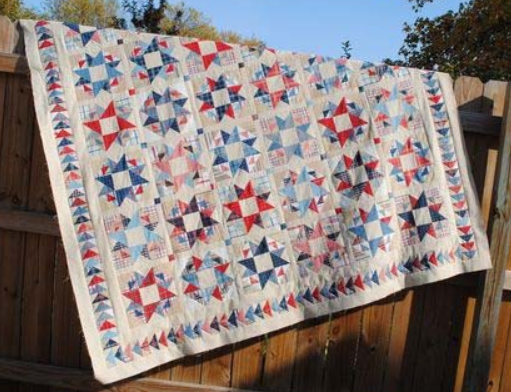 I hope you’ll enjoy stitching up a Studly & The Mrs. quilt – or two, so you and your Sweetie will have matching quilts!